Wibble wobble, wibble wobble, jelly on a plate. Rainbow Jelly is a fun treat to make on a hot afternoon or makes a fun addition to a children's rainbow party. Children will enjoy preparing this too - they love watching the sugar crystals dissolve and turn into edible rainbows. 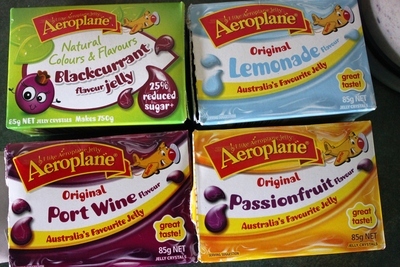 Add 1 cup of boiling water to the first packet of jelly crystals. Stir until the sugar dissolves, then add another cup of cold water. 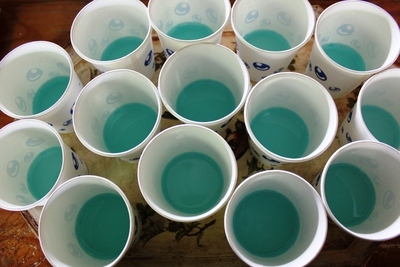 Pour the liquid jelly into cups, then refrigerate for approximately two hours. 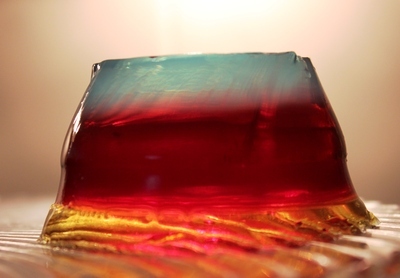 When the first layer of jelly solidifies, prepare the next color and add the next three layers on top of each other. You will need to use a variety of different colors to create the rainbow effect. Turn your amazing rainbow jelly creation onto a plate and serve with a blob of ice cream. Can you see the rainbow colors glowing in the sunlight? Yum.